Weave a Beautiful Belt for 50 Cents in 30 Minutes! 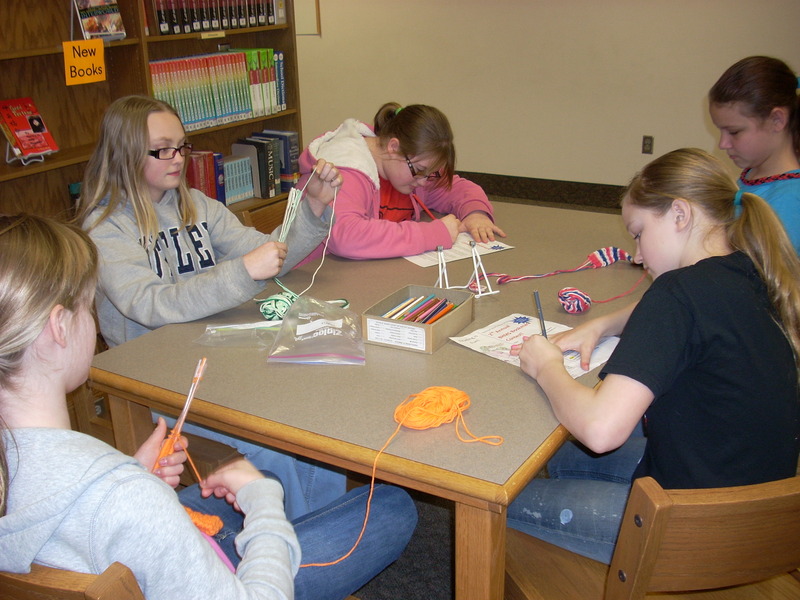 Girls weaving with yarn and drawing book marks. It’s fun to get kids excited about crafts. My book, Recipe and Craft Guide to Indonesia, includes 10 crafts made from materials found in your home. Made from yarn, it only requires half a skein depending on the project. This makes it affordable to create gifts for yourself and others! Weaving is an important part of the Indonesian culture both for history and the economy. Indonesian weavings are intricate and beautiful. Interesting Indonesian weaving tip: One type of weaving done in Indonesia is ikat (EE-kaht) which means “tie.” Ikat is the product of dyeing threads before they are woven into a patterned cloth. Ikat designs may have symbolic meanings indicating status, wealth, power and prestige. Some cultures believe ikat cloth is imbued with magical powers. Make your own weaving following the instructions included in the book for a simple weaving. The project is so simple that several girls from my school have been making woven belts and bookmarks from yarn during their lunch recess. They weave while chatting. It’s simple, inexpensive and looks great when completed! 1. Cut five pieces of 36” yarn. 2. Push through straw so 1” extends at one end. Tape to straw. Repeat with other strands and straws. 4. With left hand hold straws like a fan, taped ends out. (Hint: if you write with your left hand, it may be easier to hold straws in your right hand). 5. With opposite hand place end of ball under thumb holding straws. 6. 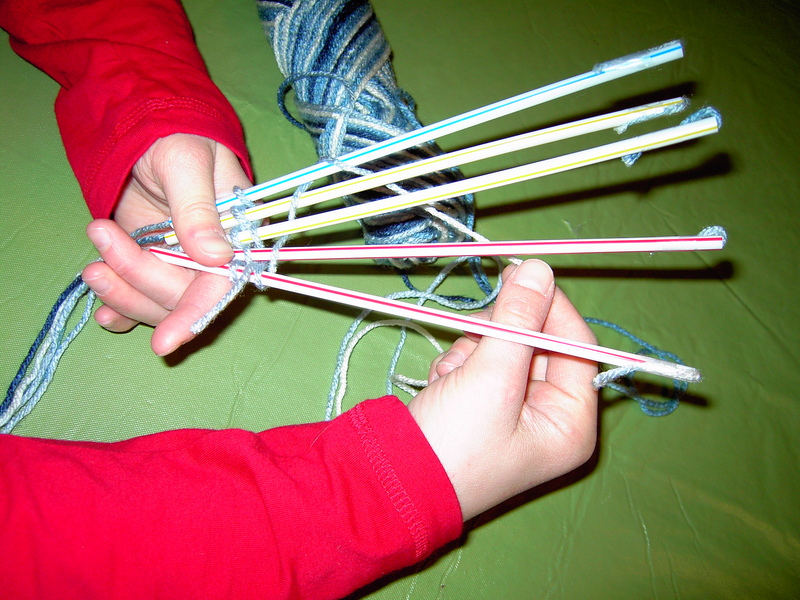 Wind yarn around straws, working from one side to the other. Keep tension tight but even. Avoid pulling yarn too tightly as this will create an hour glass effect in your weaving. 7. Work in this way until you have woven several inches. Occasionally check your work to ensure consistency of tension. Push yarn off bottom of straws. 8. Continue in this way until reaching desired length of project. A bookmark could be 6 inches in length. A belt should be the diameter of your waist with an additional 12” or so to allow for tie (see picture). 9. Cut yarn from ball. 10. Knot strands together at both ends of weaving. Weave wall hangings and other items for friends and family. What Heavenly Ramparts Are in Your Life? Dad had a Dalmatian Plantation!